Home Documentation Where do I insert the Convertize pixel in my source code? Convertize will provide you with a unique code. Copy and paste the full code (pixel) before the closing tag </head> on each page of the website you wish to optimise. 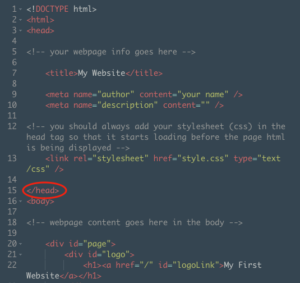 Adding this line of code will not affect your website. In the example below, you can insert the Convertize pixel on line #14 located just above the closing tag </head>.